Having recently watched James D. Solomon’s documentary “The Witness“, which goes over the details related to the death of 28-year-old Kitty Genovese in Kew Gardens, Queens, New York, I was surprised to learn of another film revolving on the one of the most famous murders in New York City and American history. 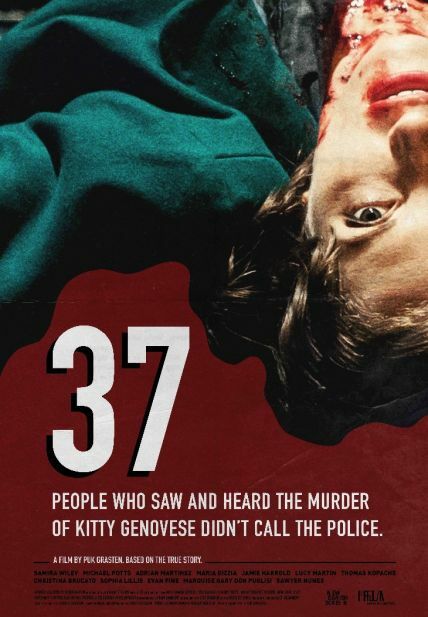 Danish writer/director Puk Grasten takes a different approach to the tragedy with her feature-length directorial debut “37”, which is an expansion of her 2012 short film of the same name that also followed the tragic event that took place around 3am on March 13, 1964. 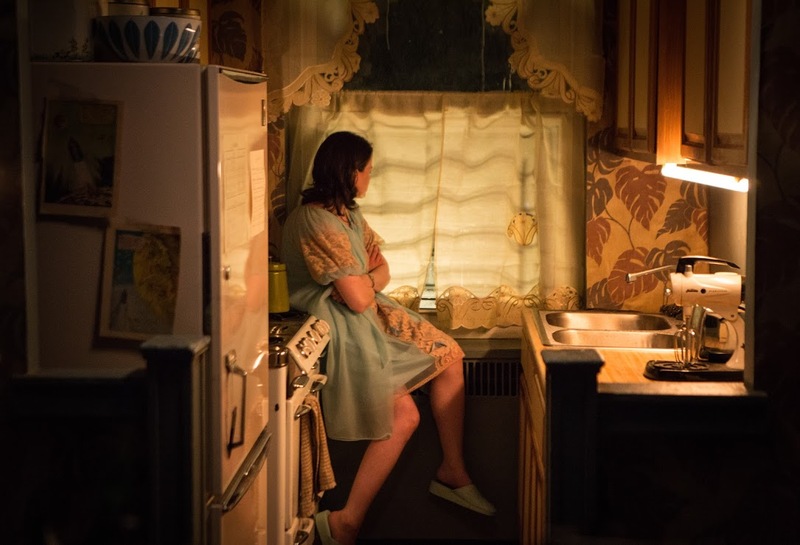 Grasten’s approach is unique, in that Kitty Genovese (Christina Brucato , “Orange is the New Black”) plays a very small role in the picture, which instead focusing on the thirty-seven alleged witnesses who either heard or saw from their apartments Genovese’s hysterical pleas for help and yet did not intervene. For decades, these residents have been criticized for not saying or doing anything to stop Genovese’s attacker, but “37” asks viewers to consider (and reconsider) why such inaction happened and whether or not we’re all that different from these witnesses. What was the culture and climate of the time and are have we changed all that much? We may have smart phones and can Tweet what we see, but does it take to intervene? These are questions that arise while watching “37”. Instead of including thirty-seven witnesses in her story (which would be ludicrous and confusing) Grasten smartly narrows it down to three families for us to follow and connect with. These are just some of the residents of the Mowbray building, near where Genovese was first assaulted. Billy Cunningham (Evan Fine “Popstar: Never Stop Never Stopping”) is a curious boy who lives with his older brother Mark (Sawyer Nunes) being raised by two estranged parents, Bob (Jamie Harrold “Erin Brockovich”) and Mary (Maria Dizzia “While We’re Young”), while adolescent Debbie (Sophie Lillis “It”), who has a slight case of OCD, living with her grandparents, George Bernstein (Thomas Kopache “Jessica Jones”) and Florel Bernstein (Lucy Martin “Law & Order) and in comes possibly the only African-American family moving into the neighborhood, Archibald (Michael Potts, “True Detective”) and Joyce Smith (Samira Wiley “Orange is the New Black”) with their young 5-year-old boy, Troy (Marquise Gray “The Blacklist”). 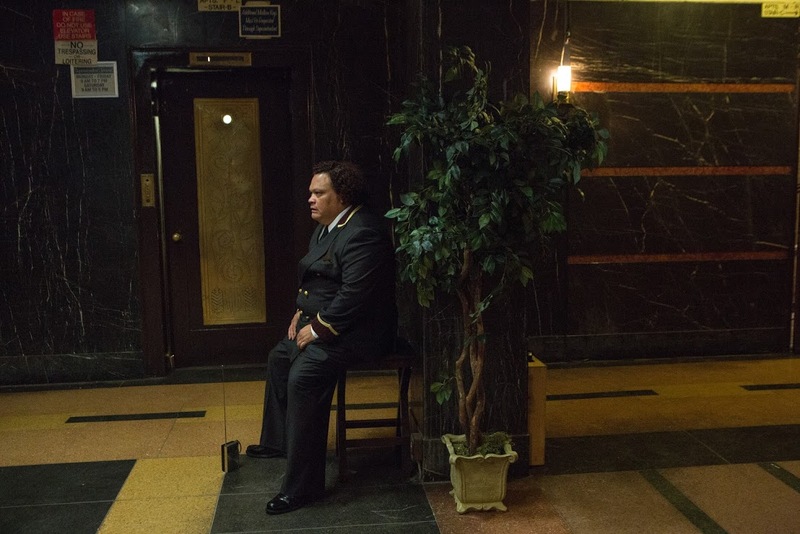 There are other characters in the apartment building, like the creepy Mowbray sisters (Nancy Ozelli and Virginia Robinson), local stoner Sam (Don Puglisi) and the Mexican immigrant elevator operator, Gonzales (Adrian Martinez “White Girl“), but we mainly follow along with drama of each respective family. By daylight, the neighborhood feels like any other New York borough in the mid-60s. Children are playing on the sidewalk alongside the old folks who play dominoes, while parents keep on eye on them from the apartment window. But it’s late at night when we start to feel like anything can happen. Pipes drip and creak, neighbors can be heard shouting above tenant’s ceilings, while indecipherable sounds can heard on the dark street below. While it may be somewhat odd that none of the three families show any concern with sleeping when its past midnight, it’s also not unheard of, I suppose. Plus, Grasten has more interested in what’s keeping them so self-absorbed that they block out the anguished screams on the street below by the time 3am comes along. Some are afraid of getting involved and would rather remain in their home, even if it is full of tension and fear. We can relate to these city dwellers, even if we don’t live in a big city. It’s easier to stay inside and mind our own business than it is to get involved when we see someone in trouble, in pain or an injustice taking place. It’s hard not to thing of ourselves and the “what would you do?” moments that surface while watching “37”. 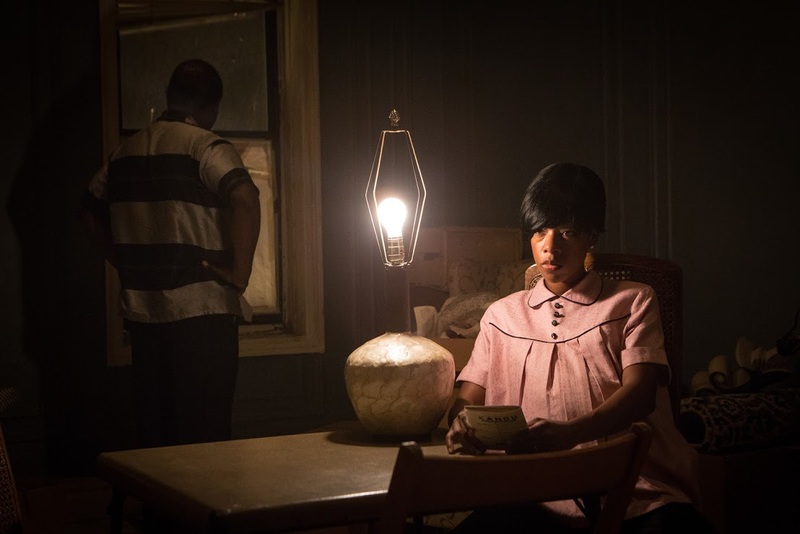 Grasten creates an immersive, somewhat eerie environment and then challenges viewers to ask themselves if they’re really that different from the people who were unable to do a thing to help their dying neighbor. No on is thinking that Kitty Genovese is someone’s daughter or sister and no one realizes the lives that would be affected when no one responded to her cries for help. We don’t see much of the actual assault on Genovese, because again, the perspective comes from those around her who were afraid to do anything. This is a story that made national news and would be studied in psychology and anthropology courses for decades, examining what would be called “The Bystander Effect” or “bystander inaction”. This may be a fictional account of what may have happened, but Grasten is intuitive enough to know how human nature works and presents behaviors that could frown upon yet also relate to in one sitting. We understand their decisions not to act, by understanding their life situations. It doesn’t excuse their behavior, but it also doesn’t compel us to condemn them either. We’d like to think we would help someone in need, but Good Samaritans are rare and, for whatever reasons, we’re more often observers than we are heroes. “37” makes you think about the lives of others a little more, just as it asks us to reconsider our own behavior.